Rockman Corner: Ready Your Creativity! Figuarts Sigma Contest Is On! Ready Your Creativity! Figuarts Sigma Contest Is On! Is your shelf in dire need of something big and menacing? 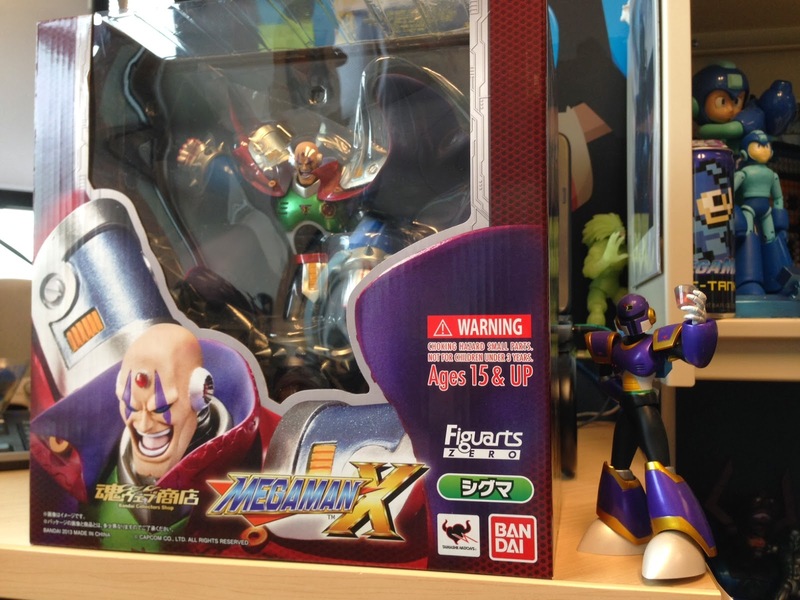 Well, friend, you might want to try your hand at winning a free Figuarts Sigma statue from Capcom Unity. Brett and the crew are putting the call out for Sigma tributes -- fan-art, cosplay, Vine video, whatever. Do something unique and creative, and Sigma here can be yours. "To enter: Starting on Monday March 3, create something in honor of X's irrepressible foe. It could be an amusing Vine, fan art, a remix, a doodle, cosplay... pretty much anything so long as it was created for this contest and properly pays tribute to Sigma. Once you've created something, tweet @MegaMan with #SaluteSigma and a link!" You have until Friday, March 7th to submit a tweet with #SaluteSigma. Contest is only open to residents within North America. One winner will be chosen on March 21st via Twitter. For more details, head over to Capcom Unity. Give me a Vile-2 or Dynamo D-arts. I would love to have that statue figure, but drat my lack of creative talent. XD Oh well, may the best person win! "Contest is only open to residents within North America."